The new look $50 note will hit the streets on the 18th October 2018. It features Australia’s first published Aboriginal author and inventor, David Unaipon, and the first female member of an Australian parliament, Edith Cowan. 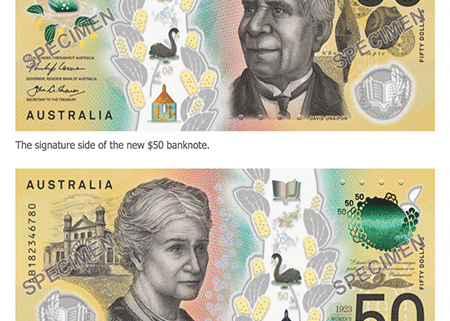 Once again the $50 note has upgraded security and bumps to assist vision impaired people.